Whether you use your garage for storage, a place to keep your car or a playroom for the kids, a garage door is typically used every day. As the expected lifespan of a garage door is undetermined, it is important to follow the relevant advice on how to add longevity to your door so it will last for many years to come. Firstly, make sure your garage door springs, rollers and hinges are lubricated approximately every 3 months to keep your garage door running smoothly. A light coating of WD-40 is perfect for cleaning the tracks of an automatic garage door to keep them functioning efficiently. 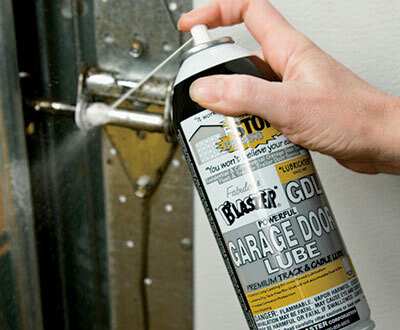 Remember, WD-40 must not be used on garage door opener parts as it is not suitable for such applications. 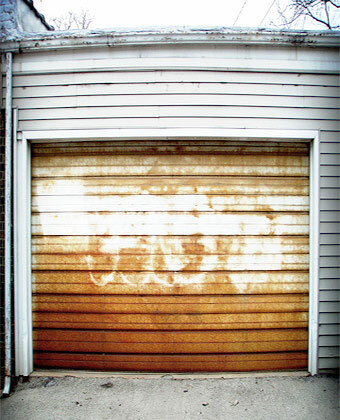 To prevent rust, wash away seasonal grime by washing both sides of your steel or aluminium garage door with a mild detergent and rinse thoroughly with clean water; car wax can be applied to a steel door surface for added weather protection against the cold. Steel can be painted and is available in textures that mimic wood if you require a traditional looking finish. Alternatively, you could opt for an actual wooden garage door if you are looking for a classic, well insulated design, however, it does need to be maintained and refinished regularly; depending on the climate and exposure, wood doors will need to be painted or stained every few years. Take time out to inspect the various components of your garage door system about once a month, replacing any worn parts and tightening down any loose bolts while giving cables and wires particularly close attention. Keep an ear out for any unusual noises which may sound while your garage door is being operated as this can indict a hidden problem with your door. Remember to schedule an annual inspection by your local garage door repair service to ensure all areas are addressed by a professional. The better care you give your garage door now, the longer it will remain in top working order meaning you will avoid having to pay a hefty price to replace the entire door. 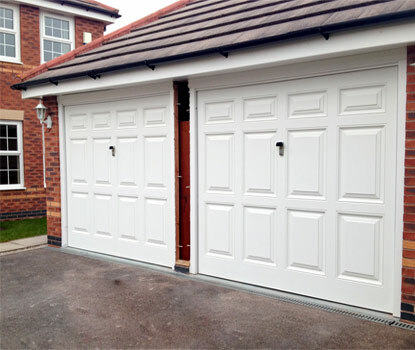 With over 25 years’ experience in the industry, our highly trained team of garage door engineers here at Wessex Garage Doors have the expertise to quickly repair any damage or fault, or fit a replacement garage door with longterm reliability & function in next to no time. From springs, cables and rollers to locks, handles and remotes, our comprehensive range of spares and replacement parts are sourced from leading manufacturers for high performance. 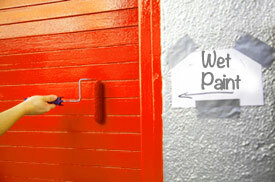 Simply get in touch with our friendly team by telephone or online contact form today for further information.